Hummer drivers in Johnson City and Gray choose H-Tek Auto Care. Our team of ASE-Certified auto mechanics is well versed in the unique features of your Hummer and whether your Hummer has simply lost its fervor and is in need of a tune-up, or if auto repairs are required, our team of ASE-Certified auto mechanics will, like your Hummer, exceed your expectations. 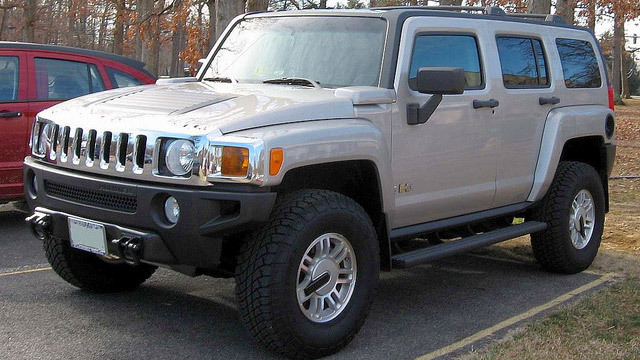 H-Tek Auto Care is proud that we’ve built the reputation of the #1 auto repair facility in Gray and Johnson City and we want to get you and your Hummer back to peak performance levels. Whether it’s “over the river and through the woods” or simply getting you to the office on time, our team is committed to fixing your problem right the first time. When your vehicle requires a tune-up, the ASE-Certified auto mechanics at H-Tek Auto Care are professionals who meet deadlines and exceed expectations. We’ve become the #1 choice for drivers in Johnson City and Gray who are in need of exceptional auto mechanics in the region. Whether it’s a tune-up or other auto repair services you’re in need of, the team at H-Tek Auto Care is ready to offer accurate service with a smile. We back all of our repairs with a nationwide 3-year, 36,000mile warranty because we want you to drive away feeling confident in the handling of your Hummer and we want to make you apart of the H-Tek Auto Care family. Servicing clients in Johnson City and Gray, we are proud of our five generation, auto mechanic lineage and when you utilize our shuttle service, chances are Don, Eric’s father, will be your driver. So, when your Hummer needs servicing or auto repair, come visit us at 5882 Bobby Hicks Hwy., Gray, TN 37615 or schedule an appointment online.